Picture of Kangchenjunga taken by author from Goecha La pass, 4940m, Sikkim. 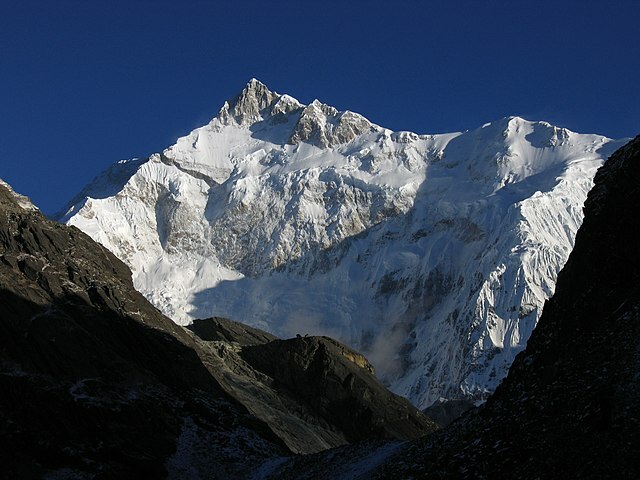 The peak in the image is actually the South peak of Kangchenjunga, which is about 400 ft lower than the main peak. You can also see the West peak of Kangchenjunga (Yalung Kang) as the round peak slightly to the left of the South Ridge (the ridge going left from the South peak).